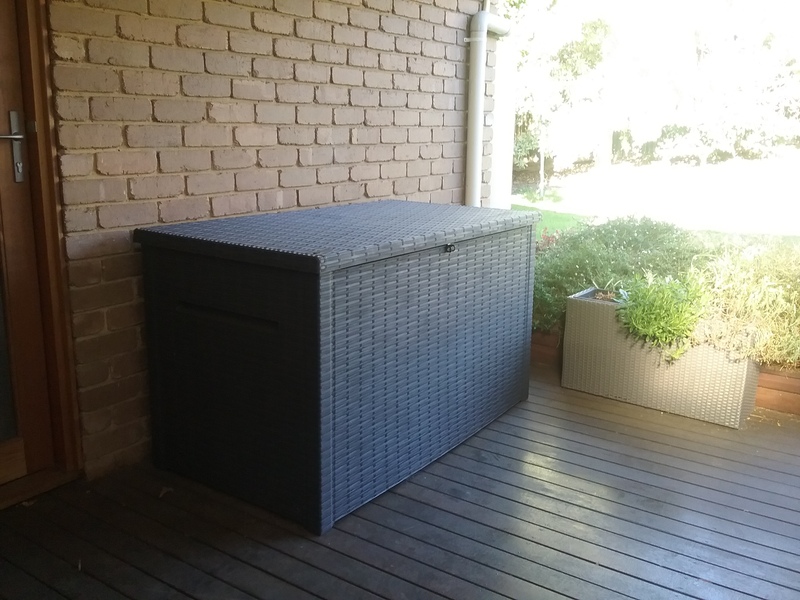 The KETER ONTARIO in rattan, a spacious, rainproof, oversized outdoor storage box that will fit perfectly in your garden, patio or pool area. 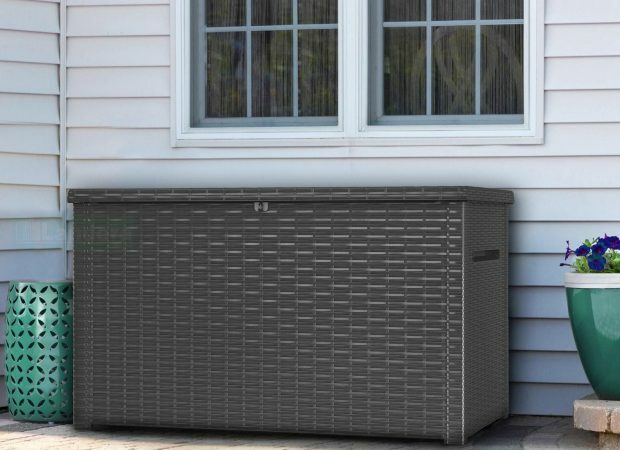 The 870 L capacity provides generous storage space for bulky items like gardening tools, large cushions or pool equipment, helping you maintain your outdoor living space clutter-free and always ready for guests. 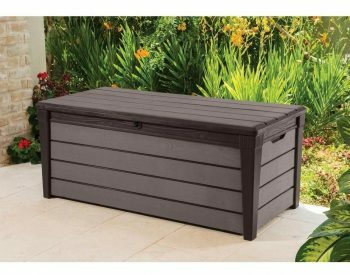 Designed with an attractive wicker/rattan texture, this deck box complements any outdoor furniture, from classic to modern. Easy to open and close with the piston system, the box is also easy to reposition thanks to the built-in handles. 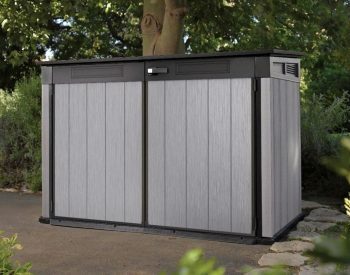 The resin build protects the surface from UV damage and any weather conditions, making it conveniently maintenance free. 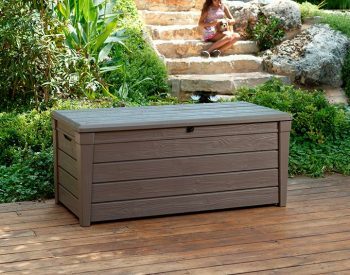 Made with a lockable lid, this outdoor storage box will keep the contents secure day and night. 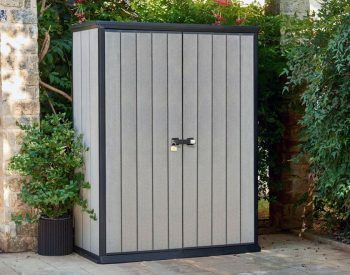 A great addition to any garden, the Ontario storage box provides an ideal solution to store larger items securely and maintain your outdoor living space. 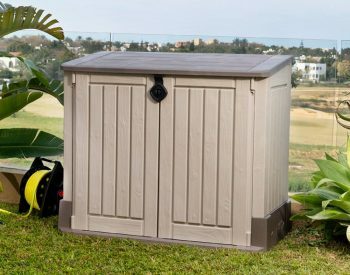 Featuring an oversized design, the box will hold numerous items, from gardening tools and pool equipment to cushions and toys. 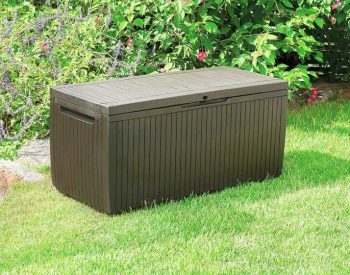 The resin build makes the box weather-resistant, UV protected and maintenance free, while the surface’s stylish wicker texture guarantees the Ontario will look great alongside any outdoor furniture. Designed with built-in handles and a piston opening system, the box is as convenient as it is elegant. 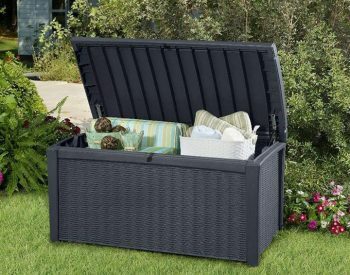 Designed with an extra-large interior that can hold a wide range of bulky items, from large cushions to gardening tools and pool equipment. 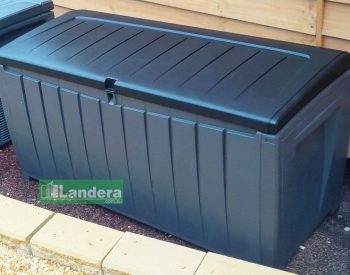 The innovative resin material makes the box weather-resistant as well as maintenance free, ensuring that the surface won’t peel, fade or rust. Lid and walls designed to keep the rain out. Classic wood like texture that complements any outdoor living space. Piston system for easy and smooth opening and closing of the lid. 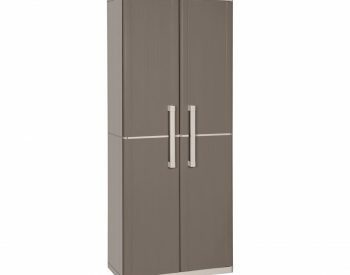 Built-in handles for easy transportation and repositioning. 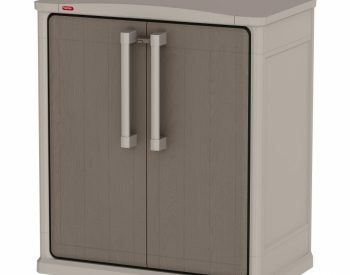 Lockable to keep garden tools and equipment safe at all times. Easy, exactly what we needed.It took me a while to find a large storage container that also looks good and I am really happy with this one. Easy to put together. Exactly what we were after. Holds all our outdoor lounge cushions perfectly. 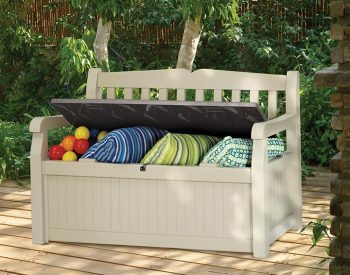 Great product delivery not soProduct is exactly what we were after- Large and sturdy to keep outside and store all our large outdoor cushions in! Unfortunately a few issues with delivery, including: barely any notice of its arrival even though tracking is provided (needed someone home to accept delivery), it needed 2 ppl to deliver but only 1 person came and carton it was delivered in was broken. Fortunately no damage to the actual product. Excellent product.Excellent product and so easy to assemble, instructions great. 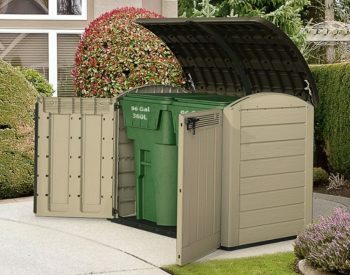 For outdoor storage you would not find anything better.